"Having worked at Green Apple for a very long time, I have come to realize that I mark off my life in the seasons of the store: holiday decorations go up, I'm a year older. Calendar bins come back from storage, I'm a year older. James Patterson has a new book out, I'm three weeks older. And so I thought, if I were a hermit living under the stairs in the store, and I only came out at night after all of the customers and booksellers were gone, I would have a pretty good idea what time of year it was. Lots of books on display about love and kissing--must be coming on February. Big display of books about how great moms are, May must be around the corner, and I know that soon the military history and sports books will be coming in for Father's Day." 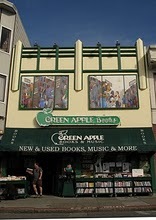 --From "The Hermit in the Bookstore," a post on the Green Apple Core blog at Green Apple Books, San Francisco, Calif. The Borders saga went a step farther yesterday, when the company announced that is delaying January payments to "certain parties--vendors, landlords and others." While the company had stiffed some publishers in December, it is now for the first time also not paying at least some landlords and "others." Borders said that "the delay is intended to help the company maintain liquidity while it seeks to complete a refinancing or restructuring of its existing credit facilities and other obligations." 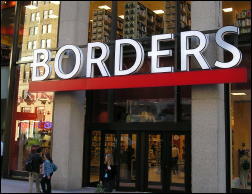 Borders stated that it "understands the impact of its decision on the affected parties, but that the company is committed to working with its vendors and other business partners to achieve an outcome that is in the best interest of Borders and these parties for the long-term." The retailer emphasized again last week's tentative commitment from GE Capital for a $550 million senior secured credit facility (Shelf Awareness, January 28, 2011). That commitment is contingent on Borders obtaining $175 million from other lenders and another $125 million of junior debt financing from lenders and suppliers--including publishers, who would accept promissory notes in lieu of payment, an unlikely scenario. Last week the company officially acknowledged that it is considering "in-court restructuring," i.e. bankruptcy. Commenting on yesterday's announcement, the Wall Street Journal reported that Borders is "negotiating with financial institutions for so-called debtor-in-possession financing that would keep it operating in bankruptcy court, said people familiar with the matter. Companies often hold such talks as a precaution, but they represent the surest sign yet that Borders is seriously weighing a Chapter 11 bankruptcy filing." 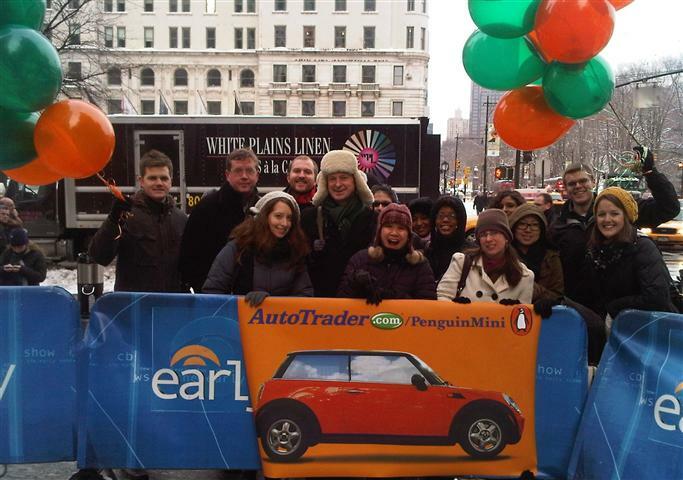 Some of Penguin Books staff were featured on CBS's Early Show last Friday to talk about the Penguin Mini Cooper, which is still for sale (Shelf Awareness, December 14, 2010). The Mini Cooper toured the country last summer bringing authors to birthday parties celebrating Penguin's 75th anniversary, and its dashboard is signed by 18 authors. The car, whose listing is on autotrader.com, also comes with a set of the top 75 titles published by Penguin Books over the past 75 years, a set worth about $1,200. All proceeds from the sale of the car will be donated to the New York Public Library. Outside the Early Show studio on Friday with several AutoTrader.com'ers: Penguin's John Fagan, director of marketing; Lindsay Prevette, publicity manager; Paul Lamb, assistant marketing manager; Stephen Morrison, editor-in-chief and associate publisher; and Elda Rotor, editorial director for Penguin Classics. Incidentally, the price has been lowered on the Mini Cooper to $25,000 from $30,000. The car has just 15,750 celebratory miles on it. E-reader ownership has nearly tripled in a year, to almost 8%, and is likely to reach 13%-15% this year. There is huge chunk of readers who don't want to use e-readers: 49% of respondents said it was unlikely they would buy an e-reader. Some 90% of e-reader owners will continue to purchase print books. E-reader owners are splitting purchases almost evenly between e-books and print books, with an average of 7.2 a year. 80.7% of respondents said they were very likely or somewhat likely to buy e-books from independent booksellers if titles are priced competitively. A "robust, hybrid (print and e-book) market will endure for many years." Predictions of 50% e-book penetration by 2014 are "highly inflated and ignore the persistence of consumer preferences for print." Predictions for the demise of 90% of bricks-and-mortar bookstores within 10 years are "grossly misleading." Independent bookstores have "a significant opportunity to convert mindshare to marketshare in the e-book space." 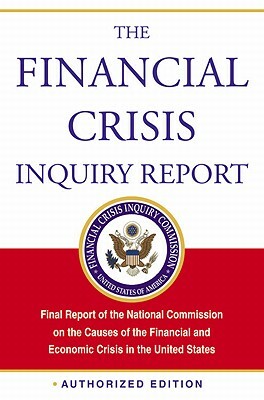 PublicAffair's 25,000-copy printing of an authorized paperback version of The Financial Crisis Inquiry Report went on sale last week and has already sold well at Kramerbooks in Washington, D.C., and Amazon.com, which ran out of the copies yesterday, the New York Times wrote. The book is the report of the federal commission that looked into the causes of the financial crisis of 2008. There is also an e-book version and the report is available for free online. PublicAffairs founder and editor-at-large Peter Osnos commented: "What we wanted to see was whether a significant public document like this, in the digital age, would still find demand in a book. And the answer is yes." PublicAffairs, which also published The Starr Report in 1998, turned around the book quickly: it received the finished manuscript of the 576-page book about three weeks before the book shipped out. Today St. Martin's Press is releasing President Obama's speech at the memorial service in Tucson, Ariz., as an e-book for 99 cents, the New York Times reported. Called What Is Best for America, the speech is in the public domain. Congratulations to Curious Cup, a new children's bookstore in Carpinteria, Calif., near Santa Barbara, which is open and is holding a grand opening celebration this coming Saturday, February 5, from 1-5 p.m. The party will feature "authors, music, art... and much more." Curious Cup carries books for children of all ages, multicultural and multilingual titles as well as a limited selection of adult books, including Spanish fiction. The store also stocks puzzles, toys, cards and journals and has a community room with space for birthday parties, book clubs, writing clubs and classes. Owner Kiona Gross, who had worked at CNN in Atlanta, was inspired by the Little Shop of Stories, the children's bookstore in Decatur, Ga. In a story in Sarajun, the online women's magazine, she recounted the odyssey that led her from a corporate job to founding her dream store, which she did after attending BEA and a Paz & Associates' workshop on opening a bookstore--as well as consulting regularly with her cousin, Ellen Eisenberg, owner of the Red Barn of Woodbridge, Conn., which sells clothing, jewelry, gifts, toys, cards and more. The Curious Cup is located at 929 Linden Avenue, Carpinteria, Calif. 93013; books@curiouscup.com; 805-220-6608. 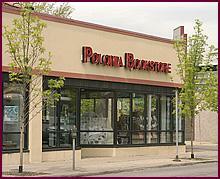 The Chicago Tribune has a short profile of Polonia Bookstore, "America's largest Polish-American bookstore," in the Jefferson Park neighborhood of Chicago. Owner Mira Puacz, whose late husband founded the store in 1969, said, "The idea was to make the place as a center of Polish culture." Polonia has a café and travel agency. Half the books in the store are fiction, and a majority are in Polish. Polonia also has maps, Polish greeting cards and films. "Local independent booksellers are still fighting the good fight--and winning" was the headline for a Pioneer Press feature on Minneapolis-St. Paul area booksellers, noting: "Strong indie bookstores contributed to the Twin Cities' rankings in Central Connecticut State University's list of most literate cities. The annual study included six criteria, one of which was the number of bookstores per capita. Minneapolis came in third; St. Paul was seventh." Among the secrets to indie success cited were "hiring knowledgeable staff, selling books off-site, making available books that are hard to find in chain stores and working to become part of their communities," the Pioneer Press wrote. "A good local bookstore is like a good local bar, where everybody knows your name," said Sue Zumberge, manager of Common Good Books. The increasing importance and popularity of shop local movements was another critical factor mentioned by several booksellers. "People are recognizing the limits of shopping online, where you have to know what you're looking for," said Hans Weyandt, co-owner of Micawbers Books. "My favorite thing, which happens in our store on a regular basis, is when a customer says, 'I had no idea this book existed.' That's why you need a knowledgeable staff." Birchbark Books manager Susan White added, "This buy local-spend local trend has been building for several years, and we are benefiting from it. 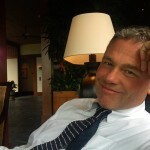 Customers who think about where they want dollars to go purposely come to us, even though it's out of the way for some." The e-book sales option for indies is gaining national attention with the debut of the Google eBookstore. 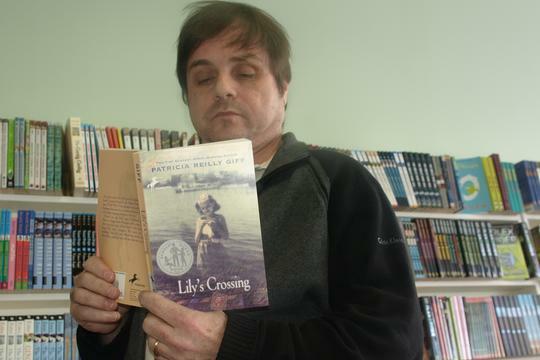 Michele Cromer-Poire, co-owner of the Red Balloon Bookshop said, "We've been selling e-books a long time, and with publicity surrounding the Google website, we are hoping things pick up. We want our customers to have options and understand they can get e-books from us at prices competitive with big retailers. But e-books are only a part of the mix. I don't think picture books are ever going to go away." Jay Peterson, manager at Magers & Quinn Booksellers, envisions two models of independent bookstores surviving: "One model is like Birchbark and Micawbers--small, strong stores that do a great job of picking books for their neighbors and the neighbors are supportive. Our model is the other--a mix of new, used, rare and bargain books that covers a lot of price points and a lot of breadth." Jim Giff opened the Dinosaur's Paw children's bookstore, Fairfield, Conn., in 1990 to escape his Wall Street job and hasn't regretted the decision: "[Now] everyone I deal with is nice. It's just a laid-back, nice, easy business." The Daily Fairfield noted that the bookshop is named in part after a book by the owner's mother, two-time Newbery Award-winner Patricia Reilly Giff, and "because family-owned bookstores--especially ones limiting their customer base to kids at the middle school level and below--are facing the same dilemma the dinosaurs faced millions of years ago: Evolve, or die out." Flavorwire showcased the 10 Greatest Child Geniuses in Literature and asked: "What is the deal with our culture's preoccupation--literary and otherwise--with kid geniuses? Is it that we all secretly wish we were still children--but with our adult intellect intact? Is it that we think a child with remarkable abilities but with age-appropriate innocence is our last best hope?" Book trailer of the day: You Killed Wesley Payne by Sean Beaudoin (Little, Brown Books for Young Readers), which is being released tomorrow. Mary Allen has been promoted to director of events and publicity at Northshire Bookstore, Manchester Center, Vt. She has been marketing assistant at the store and earlier worked in events planning and marketing with Orvis, Wolf Films, and Ewing and Associates in Prague, Czech Republic. She may be reached at mallen@northshire.com. Allen replaces Zachary Marcus, longtime events director, who is returning to his writing and production work at Maverick Media Projects. He may be reached at zjmbundok@gmail.com. At the behest of the American Booksellers Association, for the last 10 years Civic Economics has studied the economic and other impacts of independent retailers on their communities. At the Winter Institute, ABA unveiled the culmination of these studies: the Indie City Index, which ranks the Census Bureau's 363 metropolitan areas in the country by independent retail strength. ABA CEO Oren Teicher called the index "the first national measure of independent retail vitality nationwide." Ocean City, N.J., ranked No. 1 on the Indie City Index. Bellingham, Wash., was No. 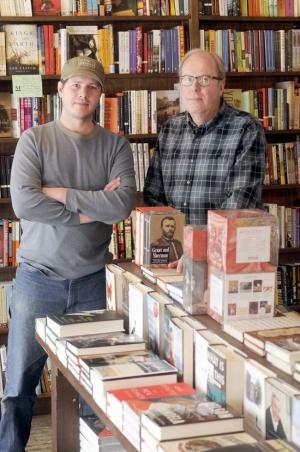 2 largely because of the shop-local efforts of Village Books owners Chuck and Dee Robinson. The report noted that "clear concentrations are found along the Northwest Coast and in the urbanized New England and Mid-Atlantic states. Noteworthy outliers include Austin, Texas (#7) and three smaller MSAs in Georgia: Dalton (#8), Gainesville (#10), and Valdosta (#24)." A "preponderance of smaller metropolitan areas" are at the top of the list. Among the most populous metropolitan areas, the New York/northern New Jersey region ranked No. 12 on the Indie City Index and Los Angeles/Long Beach/Santa Ana was No. 36. Regions with the lowest general rankings were the Midwest, Great Lakes and Texas. To create the index, Civic Economics relied on six studies it has conducted in cities of various size and in different geographical regions: the 2002 study in Austin, Texas; 2004 study in Chicago, Ill.; 2007 in San Francisco, Calif.; 2007 in Phoenix, Ariz.; 2008 in Grand Rapids, Mich.; and 2009 in New Orleans, La. While the numbers vary in each study, they all show that locally owned, independent businesses reinvest back into their communities 2.5%-3% more than chain stores. In presenting the information, Civic Economics' Dan Houston suggested that businesses in other locations can use the index and the results of the six studies to make the case with policy makers "not to give Wal-Mart that exit ramp" and let retailers "compete fairly." Indie retailers, he said, "do not want to put their thumbs on the scale," but want to even the playing field. Hut Landon, executive director of the Northern California Independent Booksellers Association, which worked with Civic Economics on the San Francisco effort, said, "Every time you do these studies, the clear message is that locally owned businesses do better for their local communities than chains." From the positive bookseller response during the Q&A, it's apparent that the results are "ammunition" to help implore local policy makers to consider the benefit of locally owned business verses their chain counterparts. For example, Carla Jimenez of Inwood Book in Tampa, Fla., said that she used results from the 2002 study in debating a local policy maker who was against helping indie retailers. "We have the credibility, what we need is the confidence [to use the studies]," she told the attendees. This morning on Good Morning America: Jed Rubenfeld, author of The Death Instinct (Riverhead, $26.95, 9781594487828). This morning on the Today Show: Wendy Kopp, author of A Chance to Make History: What Works and What Doesn't in Providing an Excellent Education for All (PublicAffairs, $25.99, 9781586487409). Tonight on the Colbert Report: Dr. Paul Offit, author of Deadly Choices: How the Anti-Vaccine Movement Threatens Us All (Basic Books, $27.50, 9780465021499). Tomorrow morning on Good Morning America: Brooke Burke, author of The Naked Mom: A Modern Mom's Fearless Revelations,Savvy Advice, and Soulful Reflections (NAL, $25.95, 9780451232335). Tomorrow morning on the Today Show: Ree Drummond, author of The Pioneer Woman: Black Heels to Tractor Wheels--A Love Story (Morrow, $25.99, 9780061997167). Also on Today: Tionna Tee Smalls, author of Girl, Get Your Mind Right! : The Tell-It-Like-It-Is Advice Your Love Life Has Been Missing (Harper, $12.99, 9780062032843), will also appear. Tomorrow morning on NPR's Morning Edition: Alan Rusbridger, editor of the Guardian, discusses WikiLeaks: Inside Julian Assange's War on Secrecy (PublicAffairs, $15.99, 9781610390613). Tomorrow on Oprah: Kathy Freston, author of Veganist: Lose Weight, Get Healthy, Change the World (Weinstein Books, $25, 9781602861336). Also on Oprah: Michael Pollan, author of Food Rules: An Eater's Manual (Penguin, $11, 9780143116387). Tomorrow on NPR's Talk of the Nation: Joseph Nye, author of The Future of Power (PublicAffairs, $27.99, 9781586488918). Tomorrow on NPR's Fresh Air: Thanassis Cambanis, author of A Privilege to Die: Inside Hezbollah's Legions and Their Endless War Against Israel (Free Press, $27, 9781439143605). Tomorrow on the View: Mitt Romney, author of No Apology: The Case for American Greatness (St. Martin's Press, $25.99, 0312609809). He will also appear tomorrow on Good Morning America and the Late Show with David Letterman. Tomorrow night on the Colbert Report: Michael Lewis, author of The Big Short: Inside the Doomsday Machine (Norton, $15.95, 9780393338829). Tomorrow night on the Late Late Show with Craig Ferguson: Cornel West, author of Brother West: Living and Loving Out Loud: A Memoir (Smiley Books, $15.95, 9781401921903). CBS has greenlighted How to Be a Gentleman, a pilot script by David Hornsby (It's Always Sunny in Philadelphia) loosely based on the book How to Be a Gentleman: A Contemporary Guide to Common Courtesy by John Bridges. Deadline.com reported that Hornsby, the "writer/co-executive producer/recurring guest star" of It's Always Sunny in Philadelphia, is also attached to "play one of the two leads in the project." Ben Walker will play the title role in Abraham Lincoln: Vampire Hunter, the 20th Century Fox adaptation of Seth Graham-Smith's novel that is being produced by Timur Bekmambetov, Tim Burton and Jim Lemley. Deadline.com reported that Walker, who recently starred on stage in Bloody Bloody Andrew Jackson, "had been the rumored favorite for days, after testing with Benjamin Walker, James D'Arcy, Adrien Brody, Oliver Jackson-Cohen, and Josh Lucas." Finalists for this year's Minnesota Book Awards, which include four debut novelists in the fiction category, were named by a panel of 24 judges from around the state, the Minneapolis Star-Tribune reported. Winners will be named April 16 in St. Paul. The Memory of Love by Aminatta Forna (Atlantic Monthly Press, $24.95, 9780802119650). "As he lays dying in a Sierra Leone hospital, Elias Cole tells his story of war to Adrian, a psychologist. Is there a secret about the war he wants to reveal in order to have a peaceful death? The human experiences of love and hate, betrayal and friendship, and death and survival are portrayed so vividly that readers will come away wondering what they would do in the same circumstances: Save oneself or sacrifice oneself? This is powerful and necessary reading." --Karen Briggs, Great Northern Books and Hobbies, Oscoda, Mich.
From the Land of the Moon by Milena Agus (Europa Editions, $15, 9781609450014). 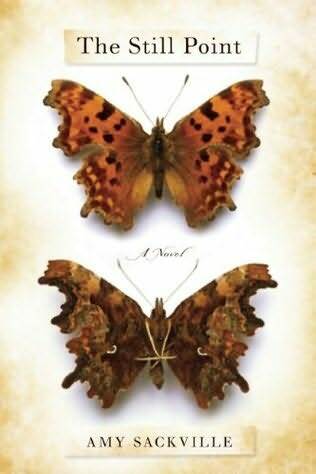 "This is a beautiful and charming translation of an intimate yet timeless romance. A young unnamed woman reflects on the life of her grandmother, a bewitching and eccentric figure whose abiding search for love spans much of the 20th century." --Brette Weinkle, Greenlight Bookstore, Brooklyn, N.Y.
Cat Secrets by Jef Czekaj (Balzer & Bray, $16.99, 9780061920882). "This is a wonderfully interactive, ideal read-aloud title narrated by a trio of felines who need to make sure their readers are truly cats before they will reveal their 'Cat Secrets.' Readers and listeners will be meowing, stretching, cat-napping, and thoroughly enjoying this playfully subversive book." --Heather Elia, Colgate Bookstore, Hamilton, N.Y.
Where past and future are gathered." This apposite quotation sets the scene for a lyrical and beautifully polished debut novel that invites the reader to experience the icy wastes of the Arctic and a too-hot, lazy summer afternoon in a London suburb. Julia and Simon are aware of but not attentive to their fraying marriage. Simon goes to the City every day to design buildings for the ages while Julia swans around her ancestral home, reliving her great grand-uncle Edward Mackley's trip to the Arctic to find the North Pole and his wife Emily's faithful vigil, awaiting his return. "Parting is the Mackley romance. Parting, waiting, and romantic loss." Julia is vaguely aware that all is not well, but can't quite suss it out; she finds it easier and more desirable to lose herself in Uncle Edward's diaries. Besides, what if one day Simon, like Uncle Edward, simply never returns? Too painful to contemplate. For his part, Simon is tempted by a seductive neighbor. Sackville delineates scenes in the Arctic when Edward sets out with his fellow explorers, flushed with anticipation of realizing their life's dream. Heady scenes of manly camaraderie and fellowship, descriptions of the landscape and seascape engage the reader in Edward's quest, even though we know from the outset that he never returns. Emily's never-ending vigil is Julia's meat and drink. She cannot get enough of its sadness, the romance of waiting, the desolation of widowhood. On this sunny afternoon, while Julia is busy organizing, napping, daydreaming and dusting, she has a visit from Jonathan, a cousin she has known for years. In their desultory conversation, Jonathan unwittingly reveals knowledge that he thought Julia was aware of. She was not, and this revelation makes all the difference. Julia immediately longs to tell Simon. She calls his cell, but he doesn't answer. He is keeping a rendezvous with that neighbor; what might eventuate from this? She calls her sister, Miranda, who is married, has kids, is having an affair and is thoroughly grounded in the here and now. But Julia must deal with the new reality alone. Shelf Talker: At the turn of the 20th century, Arctic explorer Edward Mackley set out to reach the North Pole and never came back; his young wife awaited his return for many years. 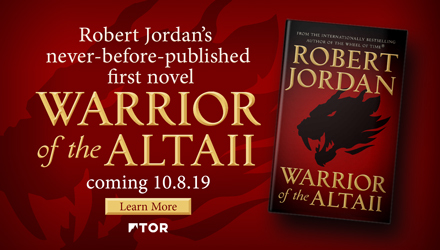 A hundred years later, his great-grandniece Julia lives in the ancestral home she and her husband, Simon, occupy, and sookn she finds what she never looked for.